The Ohio State University Criminal Justice Research Center (CJRC) was established in 1989 as the focal point for collaborative interdisciplinary research on crime/delinquency and justice issues. In addition, CJRC provides research-based outreach to crime and justice policymakers and fosters intellectual exchange among faculty; graduate, and professional students; policymakers; and practitioners. Our primary function is to serve as a catalyst for and facilitate collaborative interdisciplinary and multidisciplinary research on crime, delinquency, and justice issues and to provide information on funding opportunities, small grants, research awards, and in-kind support to facilitate studies of crime and justice issues. Research conducted at CJRC reflects the diversity of interests of affiliated faculty and students. CJRC is positioning itself to become a national center of excellence at the forefront of knowledge about the interrelationships among race, ethnicity, crime and justice. 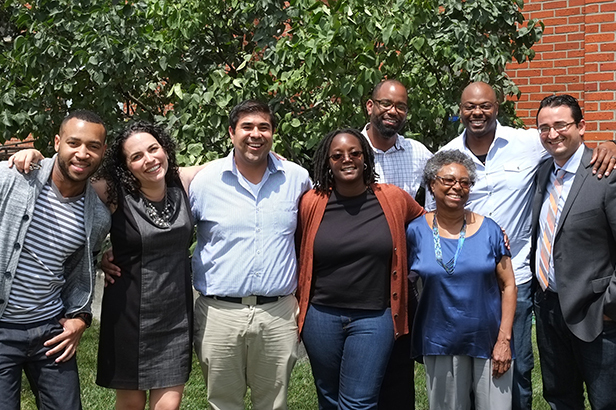 Since 2006, CJRC has hosted the Summer Research Institute (SRI), an intensive research-oriented mentoring experience for young minority scholars from around the country to help advance their scholarship on crime and justice. The institute, funded by NSF, takes place in July; over the course of three weeks, scholars develop a research paper or proposal for submission, participate in professional development workshops and present their papers for feedback and review. To date, nearly 70 young faculty members have come through the institute. CJRC is supported by funds from the College of Arts and Sciences; Office of Academic Affairs; Public Policy Academic Enrichment Initiative; governmental and private grants; and gifts from supporters.